Pest control in Coolangatta is ongoing as the climate here keeps warm all year round. Coolangatta is a great environment for pests to breed throughout the entire year. It’s not only the Southerners that love Coolangatta for a great holiday, pests do too. Residing on the southern end of Queensland does allow a small window through winter where cooler months are experienced, however Pests and Termites will still continue to create havoc for residents, as Termites damage homes throughout the entire year. 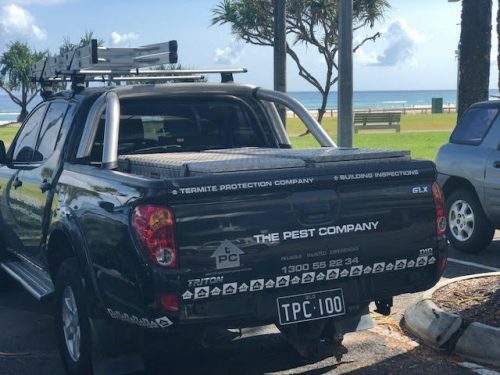 Termites and Pests continue to breed throughout the year in Coolangatta, so it is best to engage a licensed Gold Coast pest controller to carry out a Pest Control service and Termite inspection, at least annually. Most professional commercial restaurants and a cafes in Coolangatta insist on monthly services to keep control of unwanted pests, especially Cockroaches and rodents. The Pest Company Gold Coast have local technicians on a daily basis servicing Coolangatta homes and commercial restaurants and shops. Call The Pest Company Gold Coast today 1300 552234.